Some iPhone and iPad users, myself included, have experienced an unusual level of battery drain after updating devices to iOS 7.0.6. This is typically accompanied by an iPhone (or other device) feeling abnormally warm to the touch. This isn’t a universal experience by any means, but impacted iPhone devices show truly rapid battery drain – so rapid that users can basically watch the battery percentage gauge tick down. Screen shots aren’t going to demonstrate the device heat that accompanies the issue, but the image below gives an idea of how quick the battery can go down. Note that almost immediately after this specific device received the “20% battery remaining” alert message, the actual battery indicator was already down to 17%. Most of the other users who have reported problems also find rapid draining to be an observable event, with the device rapidly draining while in standby mode or with the percentage indicator ticking away at a clocks pace when the iPhone is in use. 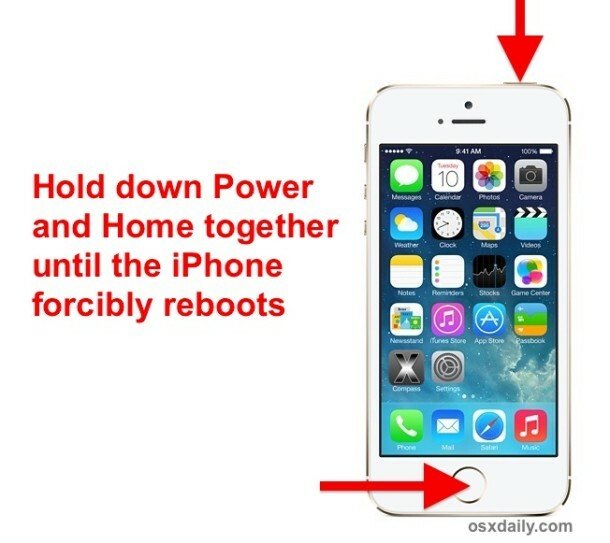 This two-step process worked for resolving the rapid battery drain problem on several iPhone models that experienced the issue post-update, after regular reboots did just about nothing. There are varying reports of issues continuing until a device was fully restored to iOS 7.0.6 through iTunes / iCloud, though that really shouldn’t be necessary. If you do have to go that route, be sure to backup before doing so. Let us know your own experiences with battery issues and any resolutions in the comments. Quick side note: if you haven’t updated to iOS 7.0.6 yet you should do so now, it fixes a critical security flaw that is simply too risky to leave unpatched. The battery issue described here is fairly rare, easily resolved, and by no means indicative of the update in general. Longtime users will know this type of problem isn’t specific to this iOS version or any other, as similar issues can occur after updating iOS to just about any version, presumably due to some errant process running in the background or a corruption of a preference. It can happen, but it’s easy to fix. If you have more regular complaints about battery performance, consider following some general advice to boost battery life in iOS 7. Had the same problem on an iPhone but not an iPad, also did a hard reset to fix it. I don’t know if iOS has a ‘mds’ or cleanup type of process running after updates, but it reminds me of the slow performance after updating OS X sometimes because Spotlight is reindexing or updatedb is preparing for takeoff. Another important thing that EVERYONE MUST DO right after updating iOS ALWAYS is to TURN OFF BLUETOOTH. Why does Apple turn this on every single time with a new system update? Your iPhone or whatever will spend the next decade scanning to find a Bluetooth hardware item that doesn’t exist, that HAS to be a huge battery hog. Turn it off! And hey Apple, stop turning Bluetooth on with every flippin update! interesting, BT is designed to be very power efficient. I have a fitbit, nike+, GM vehicle with hands free, and a logitech t800 BT headset on and off at random times. Disabling BT doesn’t do much for my battery life. Yes. There is a post-optimization update process that runs. It re-indexes content for Spotlight and possibly other optimizations. The only time I noticed this was after upgrading to iOS 7. My iPad was running so slow, I was upset. I put it down, got online to write something about how bad iOS 7 is, then picked up my iPad to check something. It was running fast after 20 minutes. Also, to keep the heat down, make sure you don’t charge your device while upgrading. Charge the device, unplug it, then run the upgrade. Heat will damage your iPhone battery, and I also think this is the cause of the “grayed out WiFi” issue. A few people have had their WiFi disabled after upgrading. I think their device got too hot and it damaged the WiFi module. I usually calibrate my iPhone battery once or twice a month. 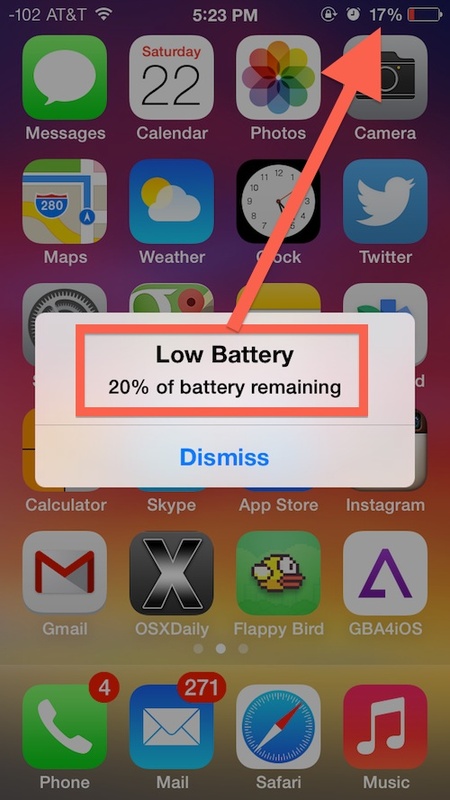 Just search for “calibrate iPhone battery” and you’ll find instructions on how to do this. Apple also provides this information in the booklet that ships with your device. I am having this issue with my iPad 4. It seems the battery loses about 1% every couple of minutes and that is with the screen turned down, location services off, ext. On a side not just updated my Mavericks on my Mini, and almost crapped my self when the desktop wallpaper turned back to the stock Mavericks wallpaper, and didn’t show my drives for about a minute longer than normal. Updated to 7.0.6 the other day and my battery life became more or less non existent. 100% to 69% overnight with no apps running, and dropping 50% to 18% while being in the subway with no service for 15 minutes is completely ridiculous. Just forced rest, we’ll see how that goes – next step is restoring, but hopefully that doesn’t become necessary. Boom, this worked and problem solved. Thanks! Hi. I’m having the same issue with the update. My question is, my “top button/lock button” on my phone is broken so there for I cannot do the force reset as suggested. Is there anything else I can do?? In Settings > General > Accessibility > turning on AssistiveTouch will allow you to shut off your phone by pressing the dot, Device and holding down the lock screen option. I know this doesn’t answer your question but its the best I can offer. I’ve actually had the opposite after upgrading. My battery would be out about half way through the day. Now, after the update, I’ve gone through most of the day before recharging. I have an iPhone 5. My iPad Air hasn’t changed. Great article! I was about to write the same one when I found yours. Both my iPhone 5 and iPad 3 got really hot immediately after updating to 7.0.6. My iPad 3 got so hot you literally could not hold it! A force quit on all apps followed by a hard reboot corrected the issue, as it has in the past after iOS updates caused a variety of miss-functions. My hunch is that there is an app (or apps) running in the background, perhaps refreshing content or something. Maybe it is one app that does this far too often. I disabled the auto updates (both content and app updates), so maybe that’s why I haven’t had this problem. I was getting “The burning pocket of death” weeks ago (long before the update! ), as well as “InstaDeadBattery” around the same time. It came on all of a sudden for no explicable reason! Phone was in my shirt pocket, I was talking to someone (in person) and all of a sudden had the MASSIVE urge to pull it out it was so hot! Shut it down (normal way) and let it cool off. Hasn’t happened since. Weird. Love the prime placement of Flappy Bird. Weird. I have never had an issue with battery life after upgrading. With some iOS upgrades, there is a post-upgrade optimization process that’s run. Basically, Spotlight re-indexes files to optimize searching. But I didn’t seem to notice sluggish performance after upgrading, which is indicative of the optimization process. Maybe the optimization process is running on some devices. This would definitely cause them to rapidly lose battery life and heat up, as the CPU and SSD are being actively used. I’m afraid you’re the victim of an old wives tale. When you say to close apps, that’s simply a representation of apps that have been open. The apps aren’t really open. Take off your tin hat…your battery isn’t really draining faster. John, tin hat off – battery still draining. Go figure. Just wanted to thank you for the quick fix…worked like a charm!! Whao what a great tip! My battery parentage dramatically increased from 87% to 90% after carrying out the reboot. Problem appears solved 24+ hours later, phew! Thanks. I haven’t had a problem with iOS 7.0.6 but I did with 7.0.5 so I backed up & restored my 5s from the back up then it was back to normal. Remember always back up people. Can I go back to iOS 7.0.5? You’re watching a video on your iPhone, a CPU intensive activity that also probably puts your screen brightness way up… that’s why your battery is draining. No, you do not want to revert back to iOS 7.0.5 – the whole point is to update to the latest version so your device is secure. Just follow the instructions above to resolve any actual battery draining problems (the hard reset is all I had to do, quitting apps didn’t make a difference for me). If you’re still having issues, restore your iPhone from iTunes. This is such a minimal update to iOS that, really, it’s rather shocking anyone is having any battery problems at all. updated to 7.0.6 yesterday, incredible/ridiculous battery drain. Tried the suggestion above, no help. Battery life is still non-existent. Same here after the 7.0.6 update i have battery drain from 40 % the phone just restart like theres no battery when i plug it to charger again the indicator show 40 % battery, the fix didnt help, what else can be done??? I can’t turn off net of some applications?? Why? I am also having problem of battery drain in iphone 5 after updating to 7.0.6 two days back. There was no any such issue with 7.0.4 and battery was lasting 2-3days with routine use. I had tried steps suggested by you, but not helping at all. Do you think, I need to erase all contents and settings? With battery doctor (app) the cpu use is around 25% (16 -35%) all the time without any task. Need help. These solutions did not solve the problem of the battery drain. We (my wife and I) are having the same battery problem since iOS7.06 on our iPhone 4S – 16GB. The stand-by time and usage time indicate the same time. In the past we were able to use our phones without charging between 07AM and 10PM (iOS7.04) but since 7.06 we need to charge our phones around 5/6PM. 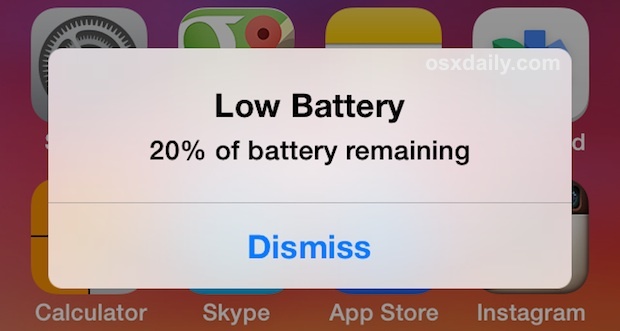 I hope iOS7.1 will be the cure for our phones again to have no more battery issues (drain) anymore. Hi all since I updated my iphone 5 to 7.0.6 when I charge my phone the percentage does move as if my phone not charging. But when switch it off and switch it back on the percentage has increased. Also it keeps reboting until I do a hard reset. Also in usage and standby all I see is a dash for each one. Hi all since I updated my iphone 5 to 7.0.6 when I charge my phone the percentage does not move as if my phone not charging. But when switch it off and switch it back on the percentage has increased. Also it keeps reboting until I do a hard reset. Also in usage and standby all I see is a dash for each one. Both my 5 and my wife’s 5s are having the battery drain/hot phone issues. Shutting down apps and rebooting did nothing. My battery has dropped from 95% to 89% in the short time it took to read this article and comments! In the case of my wife and I the battery drain problem began with iOS7.0.6. and continued also after updating to iOS7.1. I also did all these things and had no luck in resolving the matter untill someone said it may be an app process which is still hanging and/or using constant GPS/data and keep running in the background (although i had GPS set to off and also refresh in background was turned off). It was a bug with an app that caused the battery drain with our two iPhone 4S see also my posts in this other topic. I also noticed that the use and stand-by time were exactly the same which is ofcourse not correct. This was all caused by this app which was using GPS tracking all the time. Unfortunately an app such as System Activity Monitor did not indicate that in my case but someone posted this solution on a Dutch forum that the previous version of the app ‘Scoupy’ had a draining data/GPS bug since iOS7.0.6 and still in iOS7.1 and caused this battery drain. Since removing the app the battery use is back to normal (was 14 hours maximum during drain period) and is now again at least 24 hours or even 1,5 day depending on our use of the phone. It is also again indicated at Settings > General > Use > Stand-by and Use time are different again. Ofcourse it’s a long shot that you have this app installed (it’s Dutch) but others also mentioned that it was Viber and Pango+ and Isracard which caused the battery drain. But ofcourse it could be another app in your case. Please dive into the diagnostics logs i know it’s a pain to search there! I’m saying this to see which app process is running since ages and could cause the battery drain. Diagnostics and Use >logs per app to determine which app isn’t closed although you turned off your phone (or even in my case reset to factory settings without backup). It’s unfortunately pretty hard to find the app that is causing this. I wish Apple would come up with a better way (instead of searching through diagnostics logs) to determine which app(s) are causing the battery drain (constant running in background) so more users could easier find out which app(s) has/have a huge bug. So you know that you could remove that app(s) from your iPhone completely and see if that resolves the problem. In our cases it did resolved the battery drain. I did not look for apps which show this but none of them indicated Scoupy as the problem so I was lucky another user already searched through the diagnostics logs and installed/removed every app to determined which was the app that caused the battery drain. – System Status – activity monitor (paid version) but both did not show the app which caused the drain at the time. # Settings > Privacy > Location tracking > Only Maps, Google Maps are allowed to use location tracking in my case, you could also turn that off completely or be very selective which apps can use your GPS. # Settings > E-mail, calendar .. >deselect ‘Push’ and set it to either Fetch e.g. once an hour for all separate e-mail accounts you have. In your case you could set it to Manual so you won’t use any data as long as you won’t open your E-mail app and manually download e-mails. My iPad doesn’t charge while it’s plugged if I use it at the same time. I have gone through all the steps to save battery life but I can’t find any setting or fix to allow me to use my iPad while it’s charging. My iPhone and iPod do, but not my iPad.